Roots No Shoots is a media-bricolage installation with visceral compositions of video, audio, and discarded electronic devices. In this new work we continue our ongoing exploration of raw electrical signals as a material for artistic production as well as a symbol for biological, social, and environmental signals. The installation premiers a swarm of video recordings from our 2011 residency at the Experimental TV Center. We were the last residents of ETC's program, marking the end of a 40-year era that began with a generation of artists/engineers exploring image processing and video production. 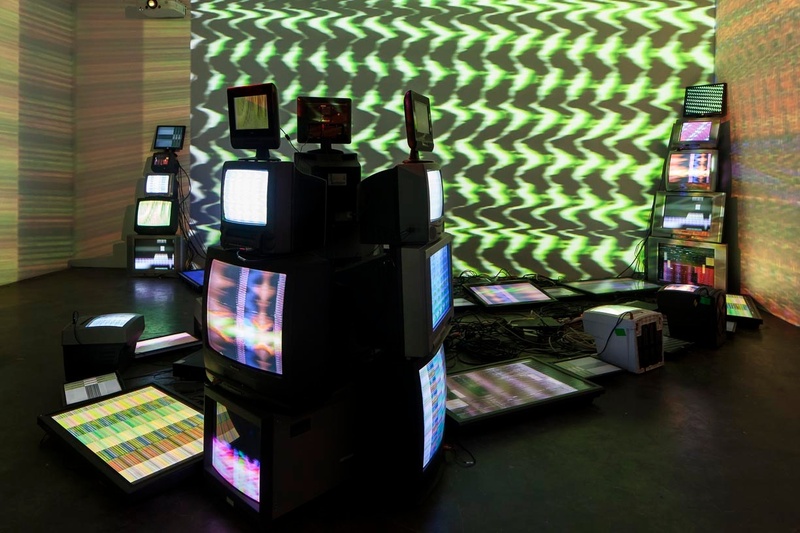 The audiovisual compositions in "Roots No Shoots" are displayed on multiple video monitors of different sizes, and from different technological eras; from cathode ray tubes to plasma screens and projections. 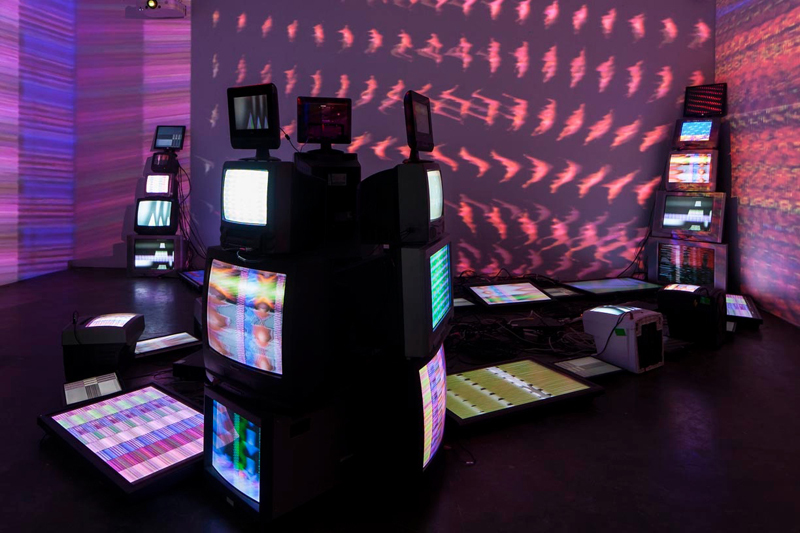 The shimmering installation of rescued endangered media surfaces takes an experimental approach to our cultural fascination with moving images. 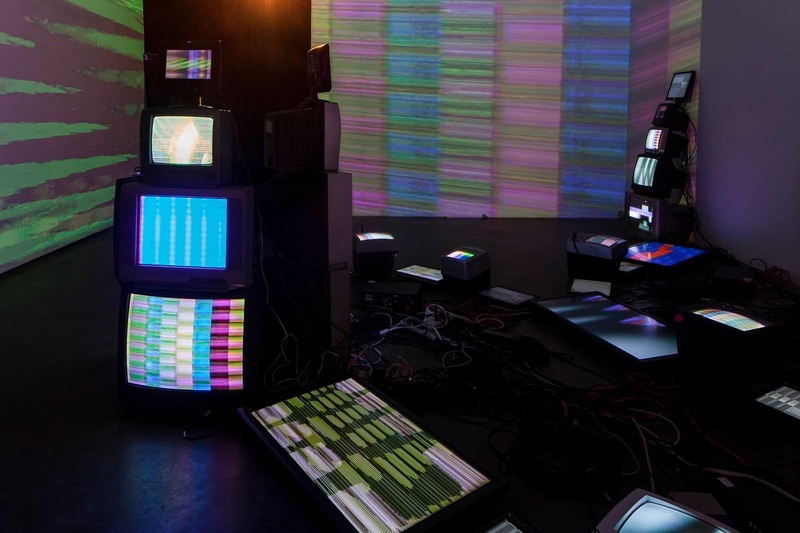 The installation celebrates occurrences when technological chaos takes place with glitches, hacks, and crashes. When we lose control of our devices, we are reminded of our own fragility.